Chevrolet has released yet another concept truck, only this time most of it will be available for purchase at a Chevy dealership. This is the Colorado Sport Concept and it showcases all the factory-available options for those with active lifestyles. Since the Colorado’s cargo bed is on the shorter side, GM engineers devised this cargo management rack called the GearOn Accessory System. It gives the ability to haul larger items like mountain bikes, kayaks, or skis above the bed. In turn, that allows for open storage under the GearOn rack. Chevrolet also included other items, such as a cargo divider, cargo tie-downs, side assist steps, mud flaps, and fender flares. Helping make the concept truck stand out is a set of black wheels currently being tested and evaluated for future production. Matte-black stripes give extra character to the Colorado’s hood. The otherwise stock truck is outfitted with nearly all the options Chevy will offer on the Colorado, including MyLink with 4G LTE WiFi hotspot, Lane Departure Warning, and Forward Collision Alert. Best of all, since Chevy is offering these add-on options from the dealer, they are included in the truck’s final price and can be included in financing. 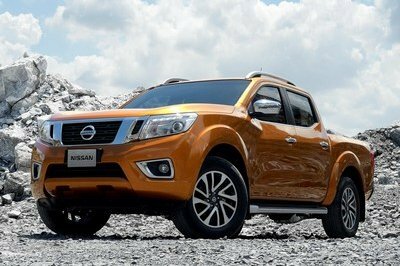 The accessories are even included in the truck’s warranty. 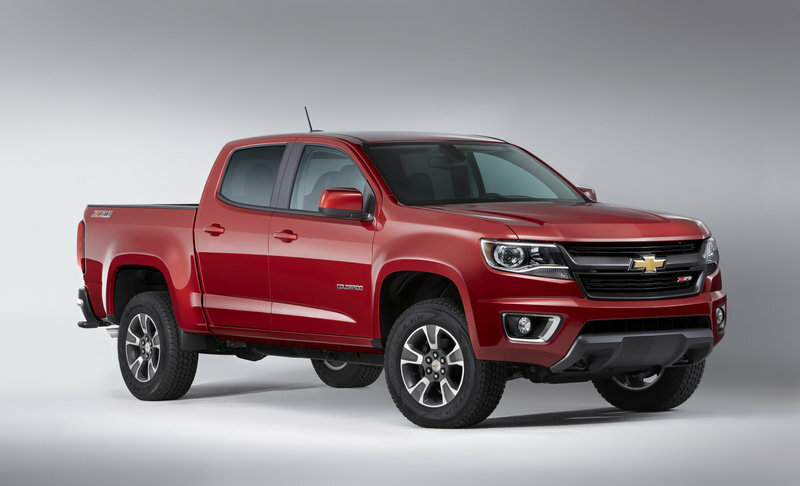 Click past the jump to read more about the Chevrolet Colorado Sport Concept. While this is basically just a glorified bike rack, the fact that it can be included in the truck’s pricing and financing, along with being covered under warranty, means more convenience for customers. GM will likely steal plenty of sales away from aftermarket cargo systems. The inclusion of the roll-bar like structure and off-road lights would be a fantastic addition to the parts catalog, so hopefully GM will give it the green light. 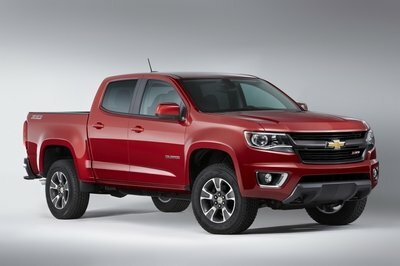 The Colorado is Chevrolet’s newest truck and marks the first real update to the midsize truck market in nearly a decade. Offering a more refined interior, better engine options, and more up-to-date looks than the competition, the Colorado is sure to win over customers. The Colorado is powered by two engine options: the 2.5-liter four-cylinder engine or the 3.6-liter V-6. Both provide class-leading fuel economy ratings as well as a best-in-class tow rating for the V-6. 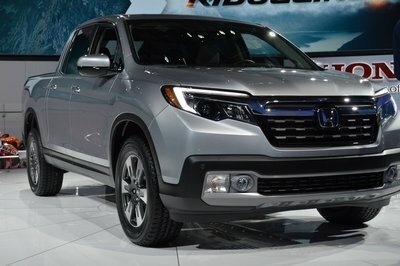 Pricing for the Colorado starts at $20,120 and rises with options. 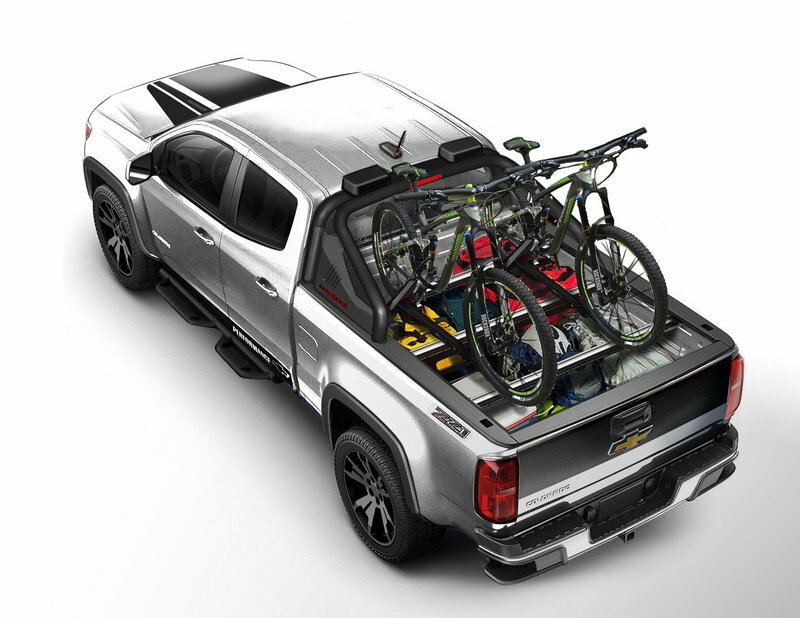 With a pair of mountain bikes mounted and a weekend’s worth of gear stowed, Chevrolet’s Colorado Sport concept is ready for adventure. It was unveiled today at the State Fair of Texas, demonstrating the lifestyle-oriented versatility of Chevy’s all-new midsize pickup. 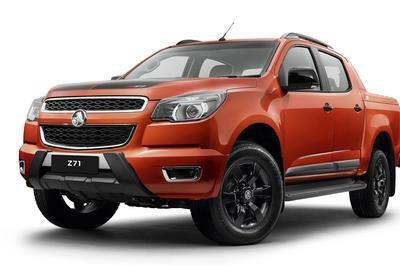 The 2015 Colorado is available in extended- or crew-cab models, with a choice of a 2.5L four-cylinder or 3.6L V-6 engine. The Colorado’s V-6 is the segment’s most efficient, with an EPA-estimated 27 mpg on the highway (2.5L 2WD models), and the most powerful, at 305 horsepower (3.6L). It also boasts the segment’s highest trailering rating – 7,000 pounds, when properly equipped. The Colorado’s interior is tailored to meet the needs and expectations of today’s midsize truck customers. With a quiet cabin and interior designed for thoughtful functionality, the Colorado offers features common to cars and crossovers, including Chevy MyLink with a built-in 4G LTE Wi-Fi hotspot and segment-first applications of Lane Departure Warning and Forward Collision Alert. At the back of the Colorado, proven Chevrolet truck features offer conveniences not found in competitors’ vehicles, including an easy lift-and-lower tailgate and rear bumper assist steps, which eases cargo loading. Accessories were at the heart of Colorado’s development, giving customers options to match its capabilities with integrated functionality and designs to complement its distinctive styling. GearOnTM accessories are designed, engineered, tested and backed by Chevrolet, and many can be ordered with the vehicle and included in the price. The cost of added accessories can be factored into financing for the Colorado, and all vehicle accessories are covered by the new-vehicle warranty. 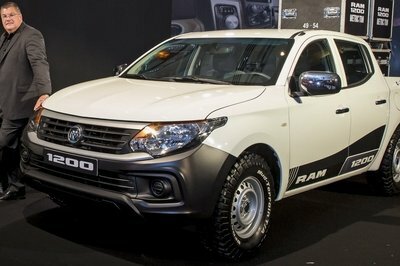 The Colorado Sport also wears unique concept wheels that are being evaluated for future production.